Parents can now enroll new students online using Aeries system. Here is a short video explaining how you can fill out the online form. 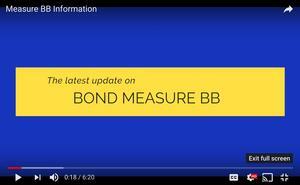 Please find an informational video regarding Measure BB. We recognize the importance of having information about the steps leading us to place this on the November ballot. For additional information, please go to our District website and tap Measure BB.